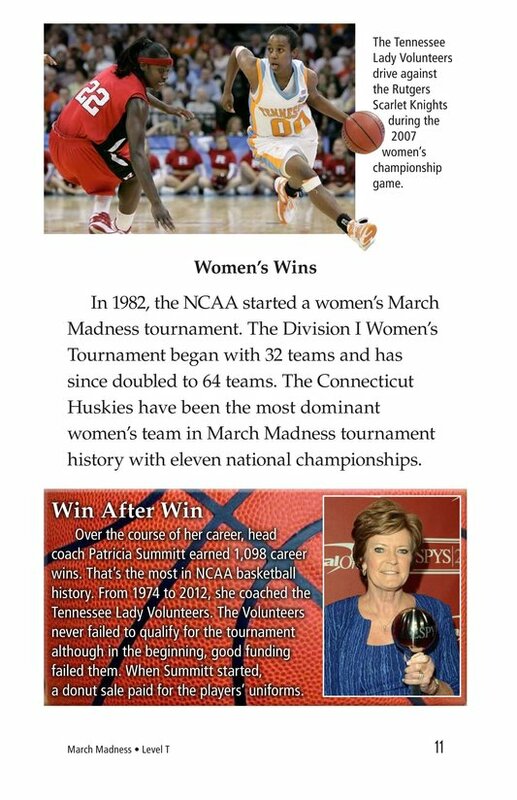 Each spring fans turn their attention to the frenzy and excitement of one of the most popular sporting events in the United States. 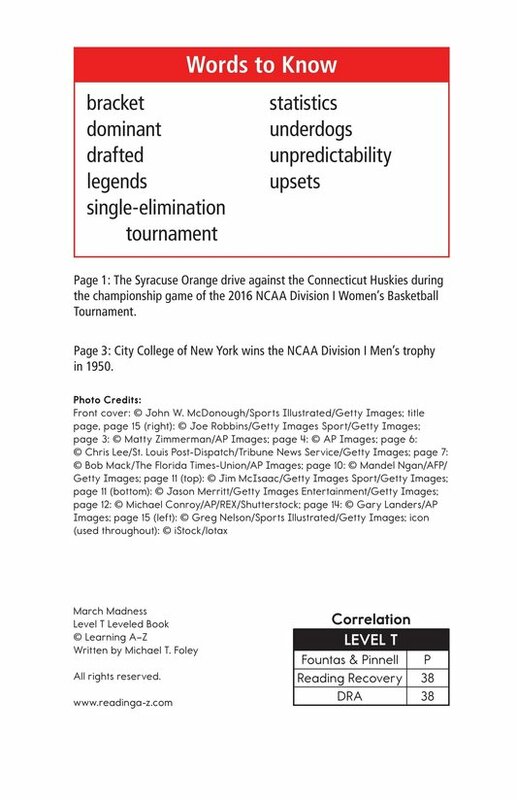 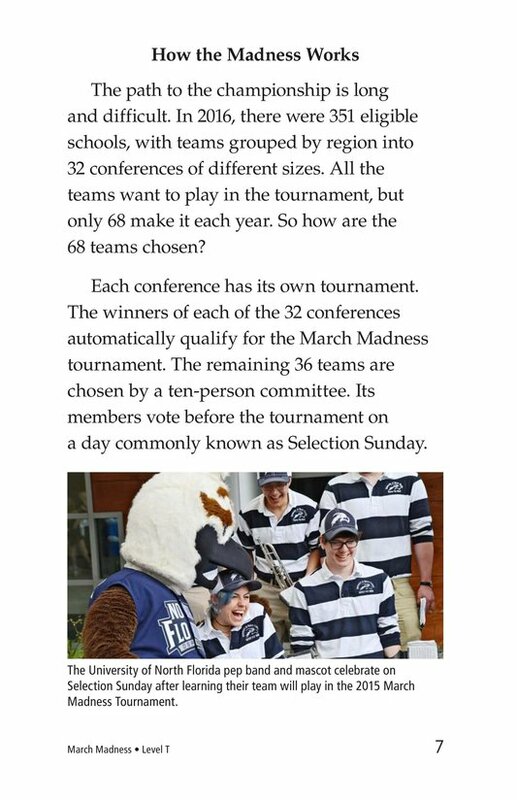 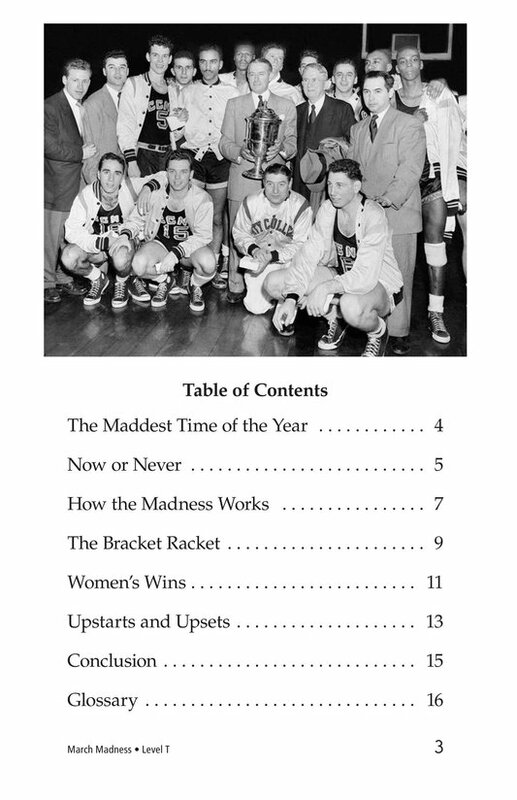 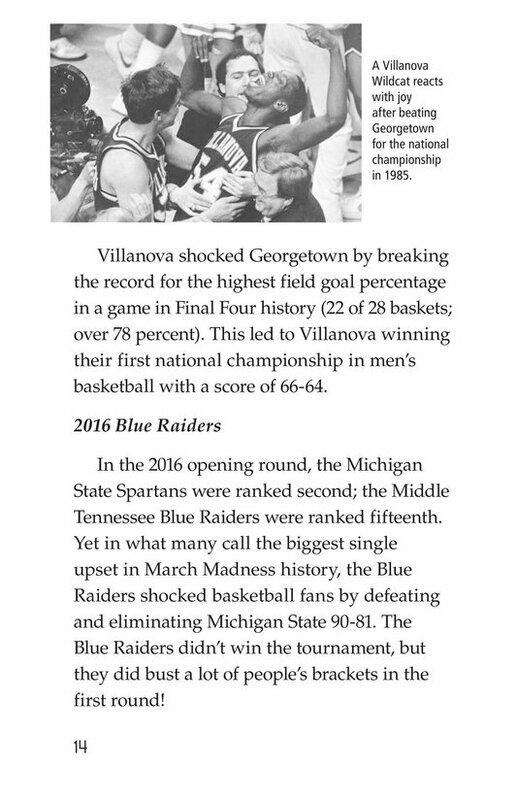 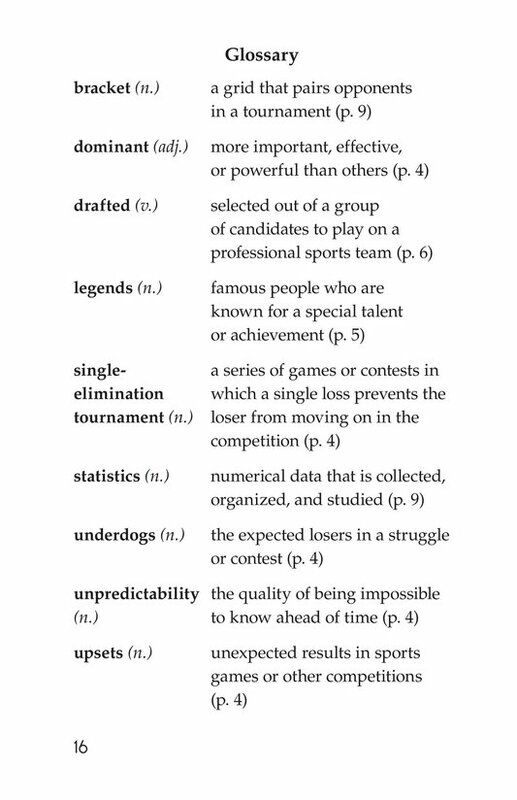 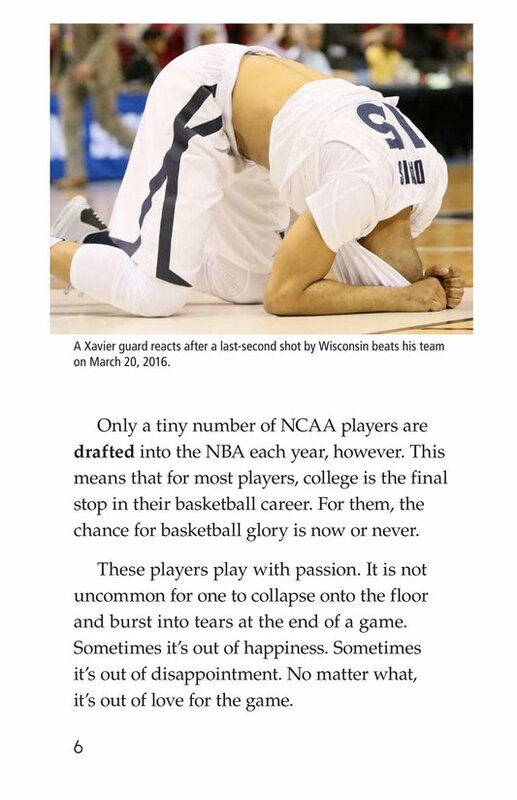 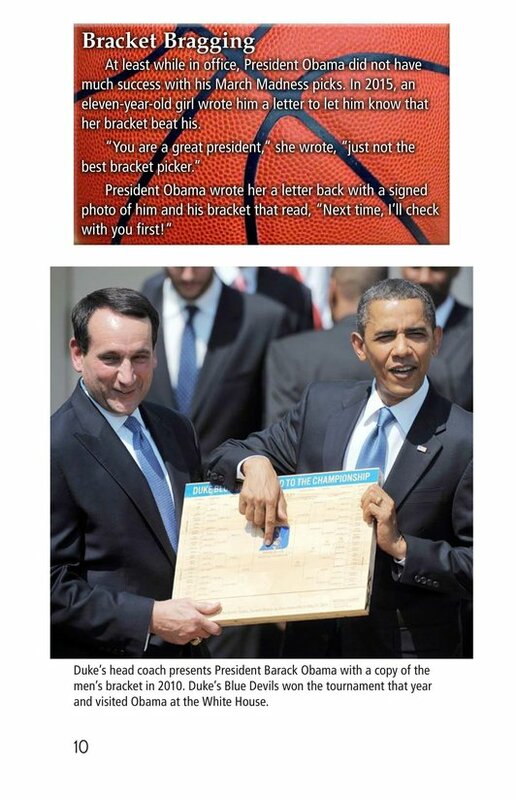 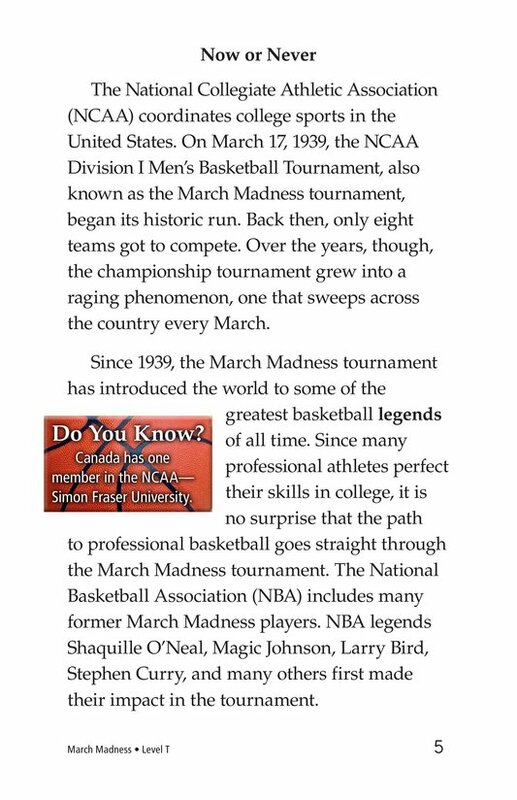 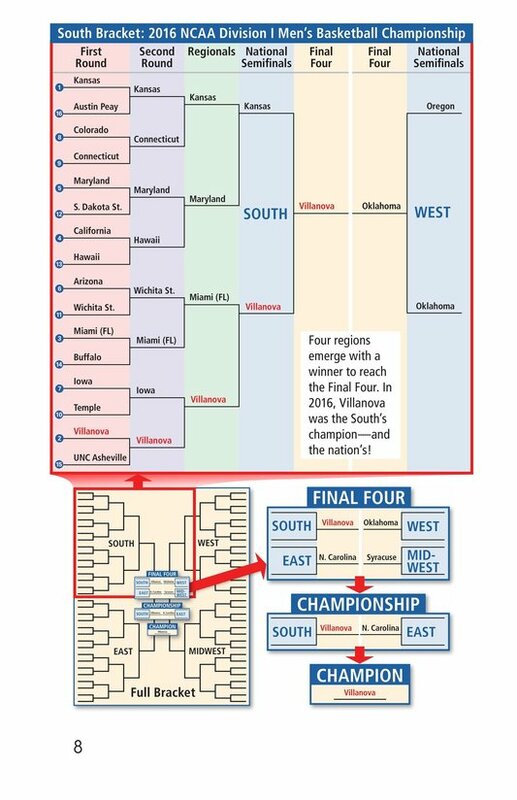 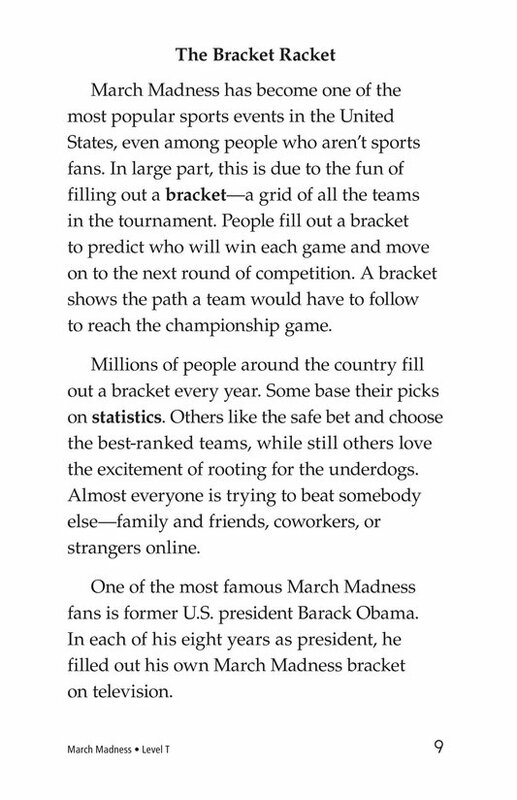 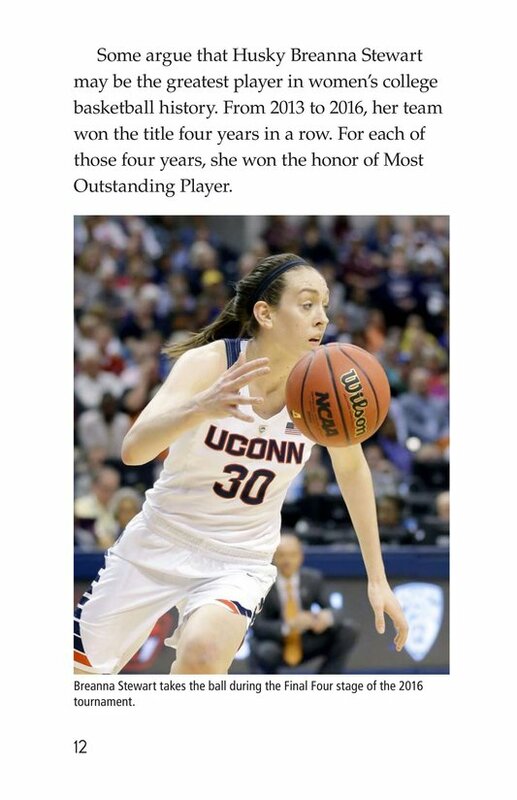 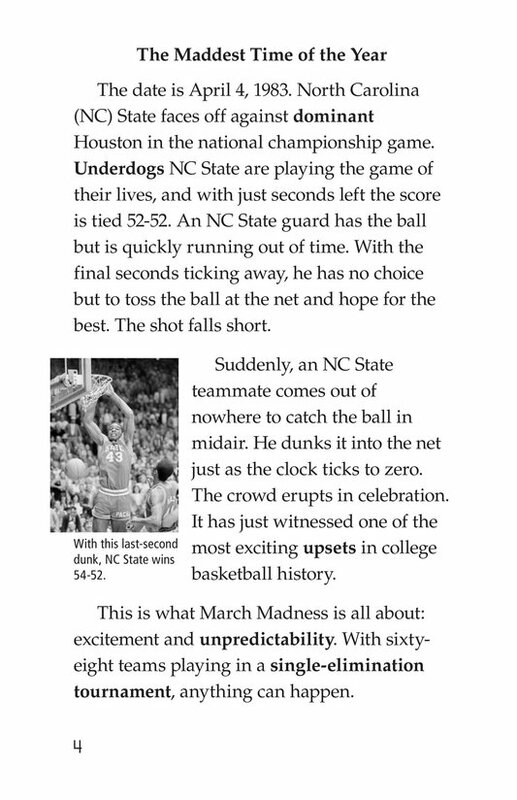 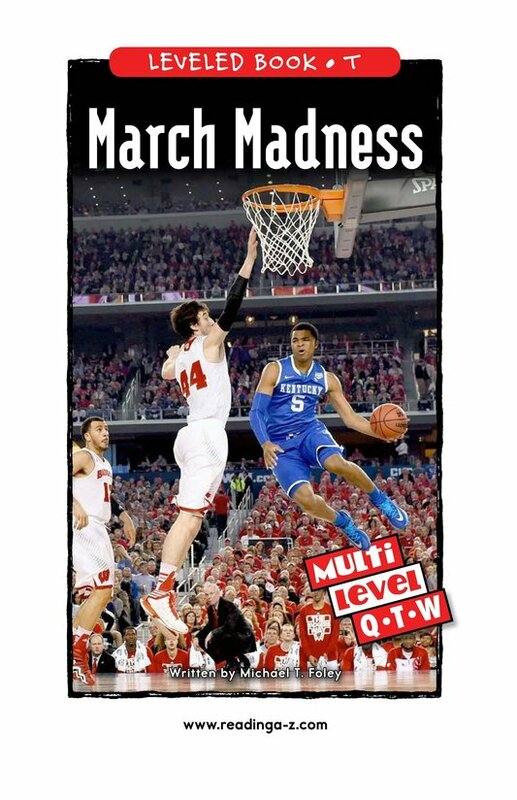 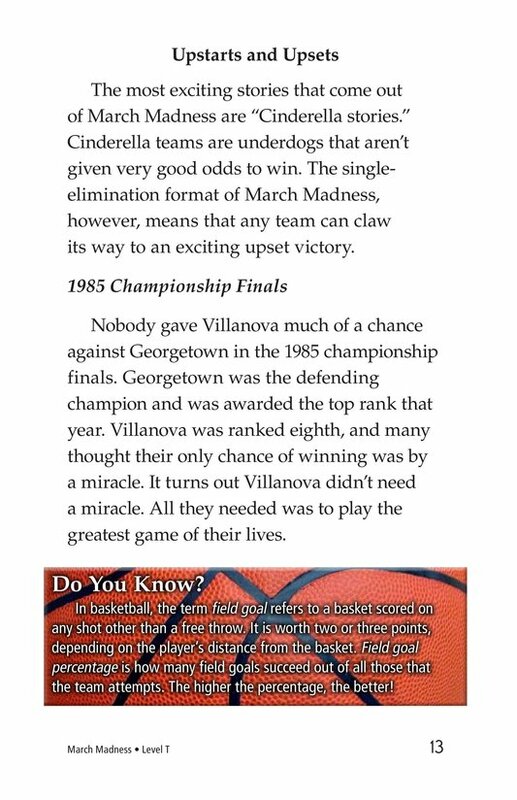 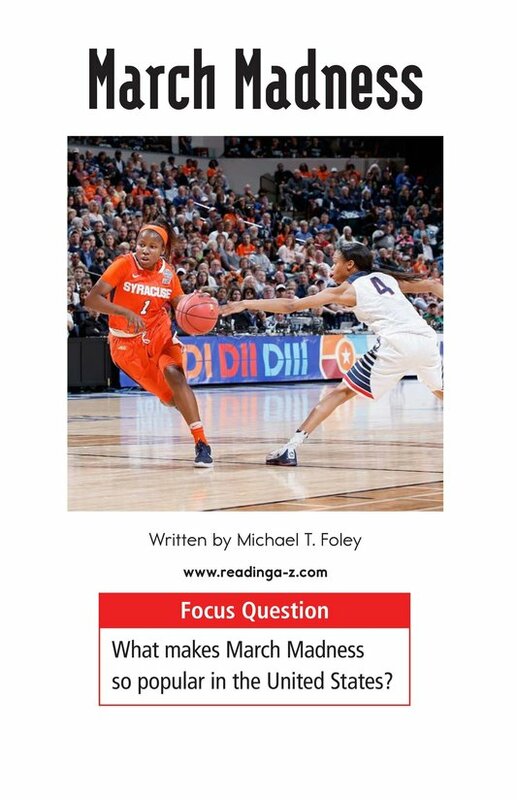 March Madness is a detailed look at the ins and outs of this college-level basketball championship tournament. 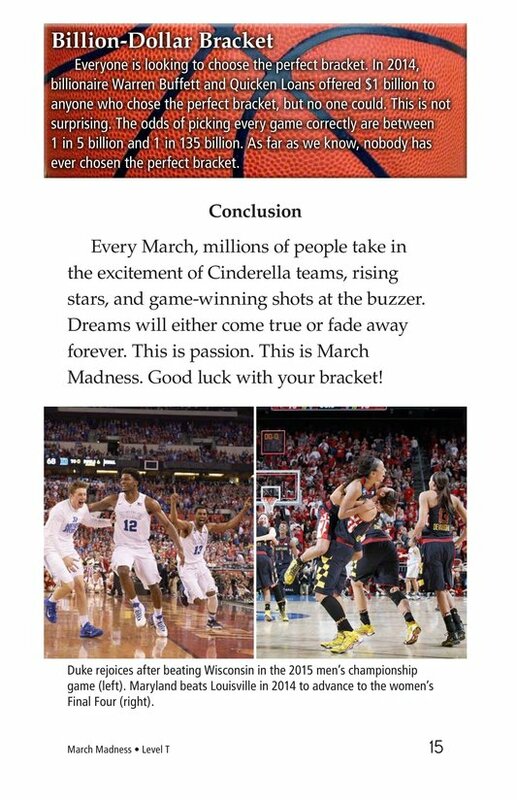 The book can also be used to teach students how to discern the author's point of view and to effectively summarize. 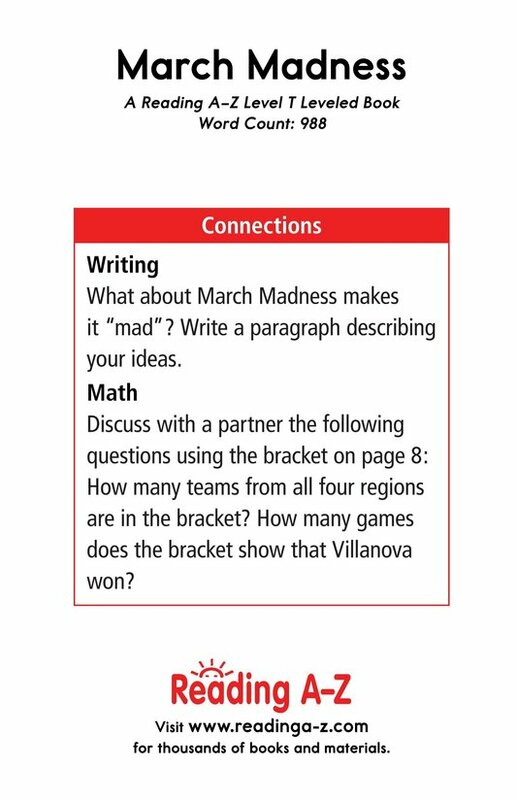 The book and lesson are also available for levels Q and W.